Man do I love a lady bow tie. 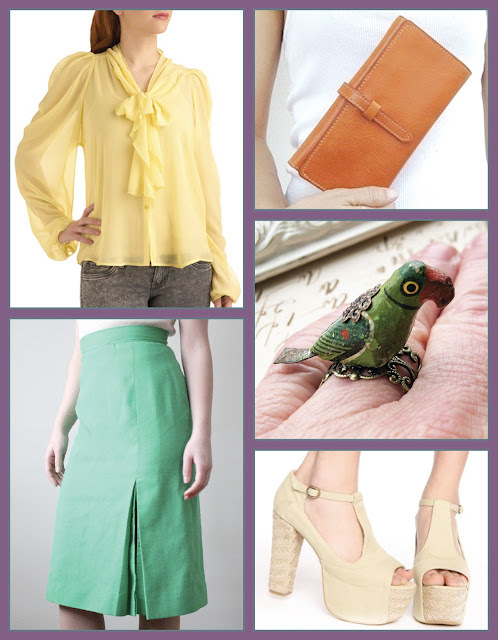 Man do I love a sunny yellow blouse. Man do I love this shirt! Okay, next up: ultra fab green vintage skirt. For Real. Kick Pleat. I Die. Top of this sunday with a freaking parrot ring! Are you kidding me?! Must... Buy... Parrot... Ring!! !